In the summer of 2014 I undertook intensive research of well known Americans who were reputed to have Welsh ancestries. Well, according to Wikipedia that is. So, sifting through a list of impressive size, I began to satisfy my curiosity. The first one that caught my eye was the respected American actor Robert Duvall. Now approaching his mid 80’s his ancestry was a combination of different nationalities, and claims to have illustrious ancestors, such as Robert E Lee on his mother’s side, and the French Hugenot Mareen Duvall on his father’s. So, where did his Welsh roots come from? On a genealogist’s hunch I decided to look on his mother’s side first. Her name was Mildred Virginia Hart, born about 1901 in St. Louis, Missouri. In the 1920 Census, she lived in Seattle with her parents, Felix Stanley Hart and Sarah Elizabeth Graham, and her older sister Artie Lee Hart. 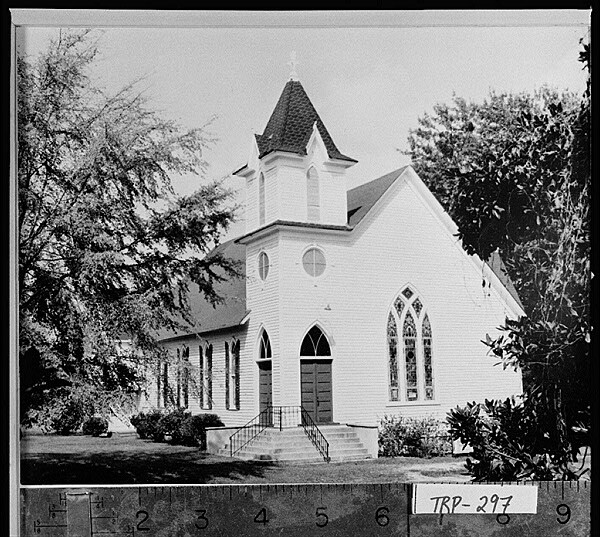 They had relocated sometime in the previous ten years because in the 1910 Census they were living in St. Louis with Sarah’s unmarried sister Blanch Graham. Felix’ expertise was sales. In 1900 he was a ‘Dry Goods Salesman’ and in 1920 he was selling cars. When he enlisted with the United States army on 10 August 1893 he was a ‘clerk’. His army records reveal a little more about him. From his enlistment record, Felix hailed from Clairborne, Jackson County, Louisiana, had brown eyes, light brown hair and stood a shade over 5’8″ tall. He was in the 5th Infantry, Company B, and was discharged on 9 November, 1896, having initially signed up for five years. Unfortunately, his involvement with the army is uncertain, but he was based at Fort McPherson near Atlanta, Georgia. 2 At the time of his enlistment the Indian Wars were over and the Cuban War was not due until 1898. Sarah passed away sometime after 1940. The discovery of ‘Artie’ as a name, used again in the family (Mildred Hart’s sister), bodes well in establishing the authenticity of the link between Mildred Hart (Robert Duvall’s mother) with the Stanleys. I feel this is significant because as shown in the 1900 census her brother Felix named his first born Artie, and Abigail, as will be shown later, is a name I believe connects Robert Duvall to his Welsh ancestry. On the Rootsweb tree, it has Thomas Evans as Abigail’s father. It also has listed some of Felix and Abigail’s children, including Margaret Elizabeth, Alfonso, Thomas, Samantha Tabitha and Mary Frances. Interestingly, it lists their ‘nicknames’ for two of them. Alfonso was ‘Founce’ and ‘Tony’, Margaret was ‘Ella’. Possibly an indication that the person who uploaded the tree has personal knowledge of the family. They were all born at Chambers, Alabama. Her father Thomas Evans was born in Chatham Counry, North Carolina on 29 May 1770 and died on 15 January, 1854. His obituary appeared in The Southern Christian Advocate. His wife was Martha Brooks was born 4 February, 1779 also in Chatham County, and died 10 October, 1841. They are both buried at Evans Cemetery, Mountville, Troup County, Georgia. There is a Thomas Evans living with John and his family who is also described as a planter and aged 79 years old. so, if I have the correct Thomas Evans then this one is spot on because he would be 80 years old in June 1850, born exactly 1770. I am assuming that John was his son, born circa. 1818. Martha would be nearly forty years old at the time of his birth, and is possibly the J.F Evans, Thomas and Martha’s last child, mentioned in the last paragraph. Ruth was of Scottish descent on her father’s side. Mary’s ancestry leads to Northern Ireland. Aaron’s parents were George Harlan and Elizabeth Duck. Owen’s birth is also uncertain though it is believed to be between 1714 and 1718. If closer to the latter date he would have been a mere sixteen when he married Mary. Not an unusual age to get married even at this time. There is a dispute as to which ship they sailed on. Some believe they were passengers on ‘The Welcome’ which sailed from Deal in Kent and carried none other than William Penn himself to Pennsylvania. However, it is more likely that they travelled on ‘The Bristol Factor’ because there is evidence that Evan Oliver loaded his essentials on this ship on 14 August. William Penn had noted that ‘The Welcome’ lost sight of the coast of England on 13 September, but the ‘Factor’ would have gone beyond this point before this date. 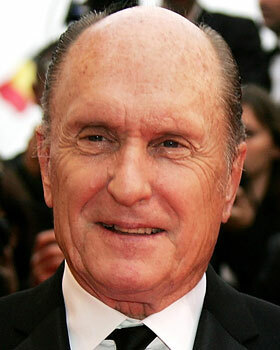 I have no absolute proof that Evan Oliver is connected to Owen Evans, a direct ancestor to Robert Duvall. Somewhere out there exists a document that proves or disproves my theory. The one piece of ‘evidence’ I have is the hope that the John Evans I found in the 1850 Troup census, with an exact aged Thomas Evans in the same residence, named a child of his in honour of the child that died tragically young after arriving with her parents in Upland, Pennsylvania in the autumn of 1682. That leaves John and Evan as possible fathers to Owen who married Mary Harlan in 1734. The purpose of this research was to find out the Welsh roots of Robert Duvall. Although I have not managed to find concrete evidence of his descent from Evan Oliver of Radnorshire, there is no doubt that he is a descendant of Thomas Evans who definitely had a Welsh connection. 2. United States Registers of Enlistments in the U.S. Army, 1798-1914,” index and images, FamilySearch (https://familysearch.org/ark:/61903/1:1:QJDR-4ZHK : accessed 19 April 2015), Felix S Hart, 10 Aug 1893; citing p. 167, volume 090, Jackson Barracks, , Louisiana, United States, NARA microfilm publication M233 (Washington D.C.: National Archives and Records Administration, n.d.), roll 47; FHL microfilm 1,319,380. 3. “Washington, Death Certificates, 1907-1960,” index, FamilySearch (https://familysearch.org/ark:/61903/1:1:N3PL-23K : accessed 19 April 2015), Felix Stanley Hart, 25 Mar 1928; citing Seattle, King, Washington, reference 975, Bureau of Vital Statistics, Olympia; FHL microfilm 2,022,479. 4. “United States Census, 1900,” index and images, FamilySearch (https://familysearch.org/ark:/61903/1:1:M381-YGS : accessed 19 April 2015), Felix S Hart, Precinct 12 St. Louis city Ward 13, St. Louis, Missouri, United States; citing sheet 6A, family 127, NARA microfilm publication T623 (Washington, D.C.: National Archives and Records Administration, n.d.); FHL microfilm 1,240,894. 5. Louisiana, Deaths Index, 1850-1875, 1894-1956,” index, FamilySearch (https://familysearch.org/ark:/61903/1:1:F338-K6X : accessed 6 April 2015), Artie Abigail Corry Or Carrie, 03 Sep 1921; citing Ringgold, Bienville, Louisiana, certificate number 8537, State Archives, Baton Rouge; FHL microfilm 2,366,158. 7. “Georgia, Marriages, 1808-1967,” index, FamilySearch (https://familysearch.org/ark:/61903/1:1:FWCP-JT5 : accessed 19 April 2015), Felix Stanley and Abigail Evans, 30 Dec 1833; citing , Troup, Georgia; FHL microfilm 310,914. 16. United States Census, 1850,” index and images, FamilySearch (https://familysearch.org/ark:/61903/1:1:MZY8-69P : accessed 19 April 2015), Seborn A Evans in household of John Evans, Troup county, part of, Troup, Georgia, United States; citing family 187, NARA microfilm publication M432 (Washington, D.C.: National Archives and Records Administration, n.d.).